The standard boring bar to the NKR-100 drilling rig, is the device which is intended, for a torque transmission, creation of axial effort and a supply of the energy carrier on the tool which destroys breed. 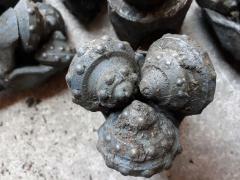 The bar boring looks as a pipe with a diameter of 63,5 mm with thickness of a wall of 5,5 mm and 1,2 meters long since which both ends, there are special conic threaded connections, one of which is on external part, and another in internal part of a boring pipe. 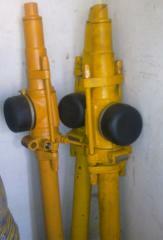 In the drilling rig - bars connect consecutive screwing, one in another, in process of advance of a drill bit on the shot, a well or at a core proburivaniye. 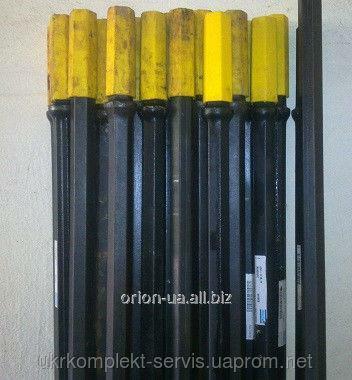 Unbelievable price on Bars boring on the NKR-100MPA machine a boring pipe in Krivoj rog (Ukraine) company Orion, ChP.